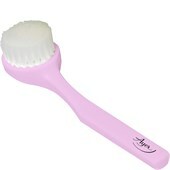 Clean, nurtured skin forms the basis of every effective styling. 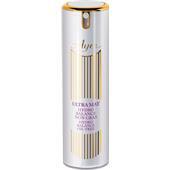 Skin type matching cosmetics help to clear the complexion. 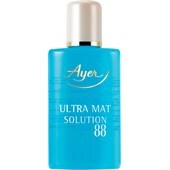 serves to cleanse and nurture the sensitive facial skin and is an ideal solution, particularly in the case of large-pored, shiny facial skin that tends to impurities and blackheads, for improving the complexion.For instance, the Solution 88 in the Ultra Mat Series is an antiseptic, purging lotion that regulates sebum production using valuable ingredients such as witch hazel and aloe vera and is applied directly onto the problem zones, in order to counter pimples, blackheads and other skin impurities. 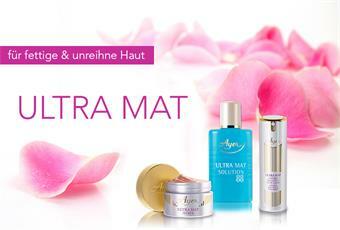 The Day Care in this Ayer series mats and soothes the delicate facial skin before the morning cosmetic and make-up routine and helps to weaken irritations and spots. 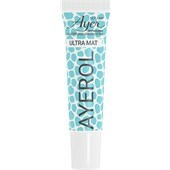 The Ayerol Creme in this care series also disinfects and purges the skin, has an anti-inflammatory effect and dries up spots. The antiseptic effect helps to contain and prevent spots as soon as they emerge and soothes various local skin impurities.